Step back in time and relax! 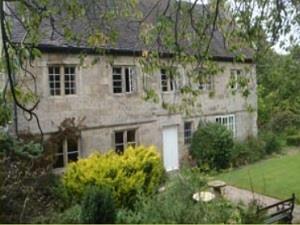 Jacobean farmhouse with oak paneling and four poster beds, large gardens with croquet and tennis. The kind of time capsule you just can't simulate. A haven for the discerning holiday maker. Car parking available, visa, mastercard & sterling travellers cheques accepted, non-smoking rooms and four poster beds available, special provision for cyclists/walkers & lone female travellers. Children welcome from any age. From Uttoxeter (6 miles). From A50 at Uttoxeter follow the signs to Alton Towers. In Denstone turn right after the church, over the bridge and 1st left signposted Prestwood. It is quarter of mile through brick archway. From M6, jct 13: From A50 at Uttoxeter follow signs to Alton Towers. In Denstone turn right after church. Over bridge, 1st left signposted Prestwood, then 3 quarters mile down on the right through the brick arch. The best stay ever. A rustic original farmhouse b&b. Gorgeous gardens, fabulous breakfast and picture perfect location. Chris and Margaret are the most gracious of hosts.